Anyone who's ever seen the films of John Ford or Sergio Leone will no doubt get a slight tremor of excitement at the mention of spending time on an American ranch and, although contemporary conditions maybe slightly more comfortable, there's nothing that beats the whinny of a pony first thing in the morning. 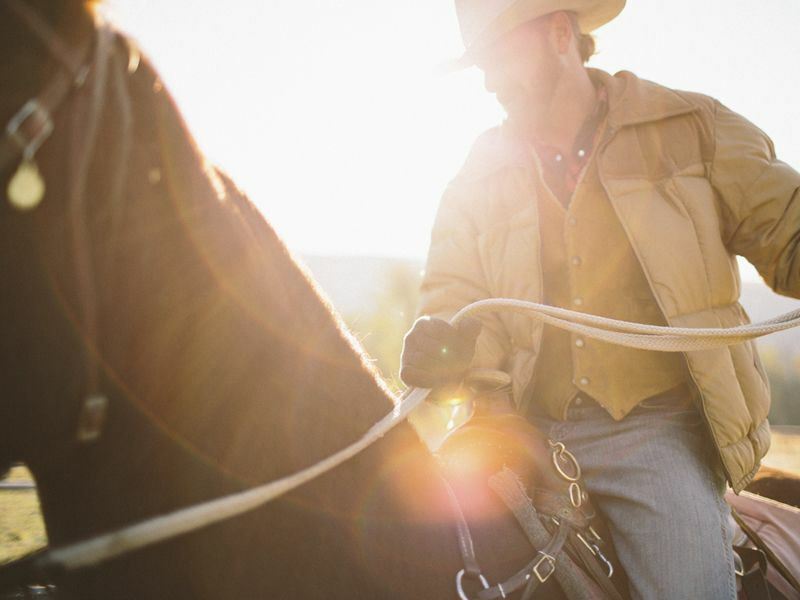 Modern ranching holidays tend to be split into two types: dude ranches and ranch resorts both of which offer an amazing chance to immerse yourself in the world of cattle, cook outs and cowboy-fuelled fun and games. In general: a 'dude ranch' is a fully-functional working environment that accepts guests whereas a ranch resort is Western themed within a typical cowboy setting (think: deserts, mountains and three-pronged cacti). Whichever ranching holiday you'd prefer, one thing is for sure, you won't regret a thing as from horseback rides at sun rise to a whole range of fitness and leisure facilities, this type of break is fast-becoming a 'must experience' and an absolute thrill for all the family. Basically, if you're into nightclubs, designer shopping and high-rise hotels then perhaps you may want to consider another option however, if hoedowns, campfires and wide open spaces are your thing then ranch life is most definitely for you. Modern dude and ranch resorts are fully equipped for all the family and kids of all ages will find an infinite amount of things to do before they even have a chance to yell 'yeeha'. Photography, painting and meditation all lend themselves effortlessly to ranch holidays and if you're looking for peace and quiet then you'll be hard pushed to find a better location. In short, everyone should ranch and even if you are into a more urban approach to life then the chances are that a few days spent on the range will do you no harm whatsoever so get those wagons rollin' or jump on-board the next stage coach. Thanks to the nature of modern ranches there are more than enough outdoor and indoor activities to complement life far from the bright city lights. In fact, star gazing is just one such activity that lends itself perfectly to ranch life and nights spent listening to cicadas and the distant cry of a coyote are often up there with the most memorable highlights. Of course, the days aren't bad either and the contemporary ranch resort will have everything from spa facilities and fitness suites to tennis courts and swimming pools, so if you're thinking you might be roughing it then prepare to be pleasantly surprised. Aside from the star gazing and leisure activities there are numerous other ways to spend your time on the ranch and exploring further afield is always a great option if you're a fan of wildlife or time spent in the saddle. Nature trails, Jeep tours and hiking in the mountain foothills are all superb ideas if you fancy getting out and about and if you're travelling as a family then the kids' clubs and organised sessions are always an added bonus. As you'll be spending time in cowboy country then it has to be grilled steaks, burgers, beans and barbecues all the way however, all tastes are usually catered for with organic veggies, fresh fruit and no end of salads, sandwiches, sweets and pastas making up an extensive on-site menu. Finally, what with all that desert heat and juicy grilled meat you'll need a cool glass of something to compliment your meal with beers, smoothies, cocktails and wines always proving popular companions whilst the sun sets. Guest suites and rooms range from spacious and airy to comfortable and homely with authentic décor and upholstery to give you a real taste of life on the range. There are some serious in-room luxuries to be had on the modern ranch and guests will be able to make the most of soaking tubs, king beds, fireplaces and even flat-screen TVs all with awesome views of the surrounding scenery. It really is up to you how rustic or how decadent you're willing to take things and no matter whether you're into a Jacuzzi and cathedral ceilings or thick blankets and rocking chairs, you'll get to experience a genuine slice of ranch hospitality so get ready to relax and enjoy. To get a true grit Western ranch experience then you simply have to pack your saddle bags and head out to the American mid-west as these guys know how to do ranching on an epic scale. Arizona, Texas and California are states that have taken luxury and dude ranching to a new level and if you're looking for wide open spaces, rugged mountain backdrops and more cacti than you'll be able to hang your 10-gallon hat on then this needs to be done right. Below are just a few choice examples as well as great things to do in the local area. Situated close to the border with Mexico and featuring the Saguaro National Park (desert, mountains and hiking trails aplenty) and Arizona Sonora Desert Museum (zoo, museum and botanical gardens), Tucson is as genuine a desert location as you're going to get and if you fancy hot air ballooning or even a few rounds of golf then this place needs your attention. More information and to book: A true step back to nature, White Stallion Ranch is unlike anywhere else you’ve ever been. Rugged mountain ranges and virgin deserts team up with cacti sprouting from the ground to create an archetypal landscape to your ranching holiday. With a south central USA location, Dallas is all about the vast open spaces that are home to the rodeo kings and queens of America so if you think you've got what it takes to get on-board a bucking bronco then you'll be more than spoiled for choice. Wildflowers, fossil hunting and wagon rides across the Texas prairie provide a few more sedate reasons to head to JR country. More information and to book: Situated amongst 1500 acres of Texan landscape, Wildcatter Ranch is a true escape from the bustle of city life. You’ll feel as though you’ve stepped into another era from the moment you arrive here – this is an authentic Texan adventure that you’ll never forget. Thanks to Carmel's climate this is also renowned as wine country and if the thought of a morning or afternoon spent tasting the local grape whilst enjoying the sunshine of California sounds appealing then welcome to paradise. Away from the vineyards and you're just a few miles from the Pacific coastline with 17 Mile Drive always an option no matter what you're into. More information and to book: Stunning and relaxing, the elegant Carmel Valley Ranch is abundant with the natural beauty of Northern California, offering intuitive service and memorable experiences in a striking venue.